What does it mean to major in music? Students develop their full potential by participating in a wide range of musical experiences, including performing in the many and varied ensembles, receiving individual attention in studio lessons, and taking classes in the theory, history, and pedagogy of music. Music majors acquire a broad knowledge of music history, literature, and theory, as well as skill in performance, conducting, composition, and analysis. Students choose between the Bachelor of Arts in Music or the Bachelor of Music with emphases in music education or music performance. The BA allows greater compatibility with other areas of study. The BM in music education prepares students for teaching certification while the performance emphasis prepares students for graduate school or to become professional musicians. An entrance audition demonstrating technical skills, musicianship, and musical literacy is required, and admission decisions are made on a rolling basis. Students usually require several years of formal training in a school band, choir, or orchestra, along with private lessons. Transfer students must provide a list of repertoire studied in studio lessons at their previous institutions. 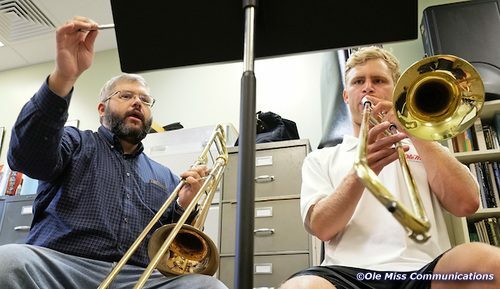 Why is the University of Mississippi a good place to study music? Students entering our programs become part of a vibrant community led by a distinguished and enthusiastic faculty dedicated to teaching, research and performance. The faculty of thirty includes specialists on all instruments and voice, as well as scholars of music history, theory, and pedagogy. Students entering our programs become part of a vibrant community led by a distinguished and enthusiastic faculty dedicated to teaching, research and performance. The faculty of thirty includes specialists on all instruments and voice, as well as scholars of music history, theory, and pedagogy. The department provides a breadth of musical experience as well as individual attention for students in the studio, in classes, and in the many and varied ensembles, allowing students to reach their fullest potential. Our students enjoy an academic and artistic environment in which scholarly and creative work is actively produced. Ensembles include: bands (Marching Band, Wind Ensemble, Symphonic Band, Concert Band), choirs (Ole Miss Concert Singers, Men’s and Women’s Glees, Chamber Singers), Opera Theatre, University Orchestra, Jazz Ensembles, African Drum and Dance Ensemble, Percussion Ensemble, Steel Drum Band, Salsa Band, and Chamber Ensembles. Scholarships are available for students who participate in band, choir or orchestra. In addition to awards administered by those ensembles, the Department of Music awards a number of endowed scholarships for music majors and ensemble members. The Music Building houses classrooms, state-of-the art rehearsal and practice facilities, and the newly renovated David H. Nutt Auditorium (a 395-seat recital hall). Other campus facilities used by our students include: the Gertrude C. Ford Center for the Performing Arts (a 1,300-seat theatre/concert hall), Meek Auditorium (a 150-seat performance space for theatre and opera); Fulton Chapel (a 650-seat concert hall) and Paris-Yates Chapel (seating 250, and the home of the university’s 32-rank, 1642-pipe organ built by Karl Wilhelm). 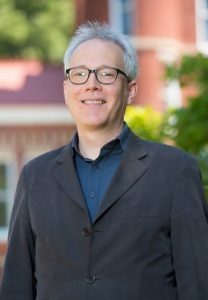 Dr. Thomas Peattie, Associate Professor of Music, earned his Ph.D. in historical musicology from Harvard University, and has research interests in the music of Gustav Mahler, early modernism, ecocriticism, and the relationship between performance and recorded sound. Dr. Peattie spent a recent semester on a prestigious fellowship at the Italian Academy for Advanced Studies in America at Columbia University where he was part of a multidisciplinary cohort of scholars whose work focuses on Italian culture, science, and society. His project on the music of 20th-century Italian composer Luciano Berio is part of a new book on Berio’s transcriptions of musical works by other composers. Why study music at UM? “Whether one wishes to be a performer, teacher, or academic, the music major provides students with the necessary foundation for better understanding the central role that music plays in our lives. 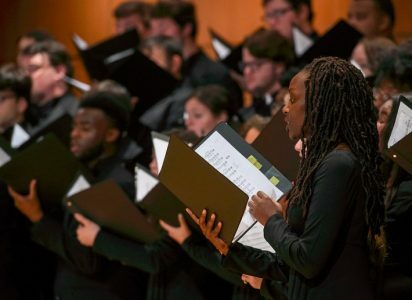 By acquiring and refining a range of skills specific to the performing musician, students develop tools whose transformative potential can be adapted to a variety of contexts from the classroom to the concert hall. What can music majors do after graduation? A liberal arts education empowers and prepares students to deal with complexity and change through a broad knowledge of the world. They gain key skills in communication, problem-solving, and working with a diverse group of people. Related careers in music include music teacher, performer, accompanist, arranger, arts administrator, church musician, composer, conductor, instrument technician, music publisher, music contractor, music retail store manager, and recording technician. 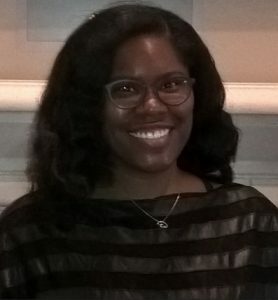 As an honors student, Portia ultimately wrote her senior honors thesis on a comparison between Chinese opera and Western opera. She studied piano with Professor Hominick, who “challenged me every week in lessons and prepared me for collegiate competitions and a very successful senior recital.” She accompanied voice and instrumental students, an experience that would influence her later. Whom should I contact to learn more about majoring in music?